Tas Tobias was born and raised in Budapest, and returned to the city in 2012 after nine years spent living in New York City. Hungarians are a prideful people - love to share the best of our selves and country with inquiring minds. Where Eastern Europe meets Western Europe: Geographically and culturally, Budapest is at the border of Western and Eastern Europe. Over the centuries, the city was subjugated by Ottoman Turks, the Austrian Habsburg Empire, and the Soviet Union, and each left distinctive marks on the city. Not only on what it looks like, but also its people's characters. Are you looking for a clean, disciplined, orderly, well-functioning city? Or an exciting, unpredictable, loud, gritty urban center with an edge? You will find them both here! The quintessential City Guide for Budapest. WHAT IS OFFBEAT BUDAPEST? Parts of Budapest have been fundamentally transformed by mass tourism, making it difficult for visitors to discover the side of the city locals know, places they go to. 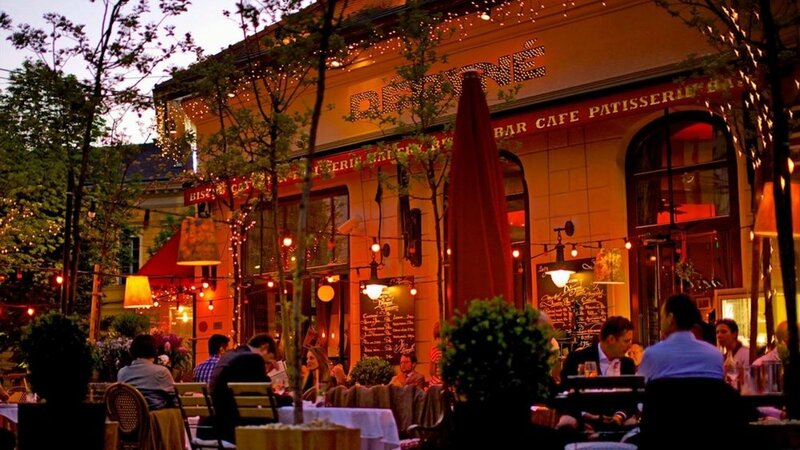 Offbeat Budapest i, a restaurant and city guide, is here to help you. Some of the featured places fall within, others outside the main attractions. You will also find practical information about Budapest, such as neighborhood descriptions, to enhance your experience. Below are a selection of our favorite places. Enjoy your stay! In New York or London, this hip breakfast joint/wine bar would be just another fashionable, industrial-chic café: the type of place where tattooed servers run around a sleek, wood-lined interior in bow ties, vintage light bulbs hang from exposed galvanized steel pipes, and semi-alternative R&B tunes set the musical background. In Budapest, many places have tried to emulate this concept. But STIKA, this pocket-sized space in District 7, is the first to get it exactly right. Little inside will remind you that you’re in Budapest, but that’s not the point here. For breakfast, the poached eggs with crispy bacon ("crispy eggs") are the highlight. At lunch/dinner, go with the “dirty love” cheeseburger with bacon and grilled paprika. Then wash it all down with Hungarian wine, most of which comes from small, family-owned wineries. Cash only! Curious where the top 1% of Buda residents hang out? Wonder no more. The owners of Déryné were ahead of the curve in 2007 when they opened this high-end bistro. At the time, Budapest's options for fine(r) dining were largely limited to tacky downtown restaurants with communist-era kitchen practices and a deeply ingrained rip-off culture. 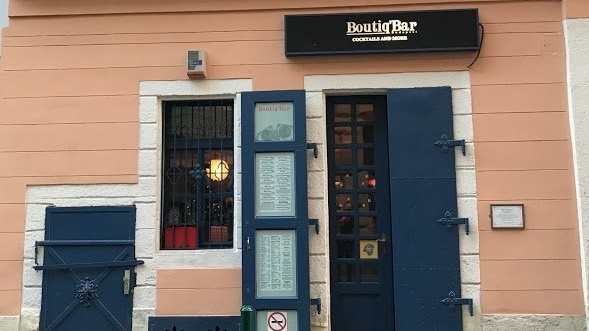 And how have they managed to sustain the bistro's popularity for so many years, as other places have sprouted up in Pest with comparable offerings at lower prices? It's a combination of Déryné's reputation, a limited supply of similar restaurants in Buda, and a professionally-run organization: from their website to the basement wine cellar, everything is carefully designed and curated. Food-wise, the kitchen reliably prepares a range of bistro-staples like French onion soup, duck confit, and crème brûlée. Accompanying these dishes is the obligatory goulash, along with other Hungarian classics such as (pork) schnitzels, as well as meat from their own steak dry-aging chamber. The exhaustive breakfast offerings range from croque monsieur to eggs benedict, shakshuka, and English breakfast. HILDA is one of the new restaurants that has emerged downtown on the increasingly fashionable Nádor Street. The area has come to life as a growing number of tourists and international students from the nearby Central European University pass through. If Kontakt resembles a Brooklyn café, then Espresso Embassy embodies the fantasy of new Williamsburg itself: specialty filter (V60) coffee, fancy brewing equipment, cakes made of things you've never heard of, exposed brick interior, attractive Millennials typing away on their Macs, and fixies parked outside. The vaulted ceiling of this neoclassical building (marked by the landmark protection plaque on the facade) combined with a well-invested minimalist interior is a thoughtful blend of old and new. The core clientele consists of bankers from the nearby financial district and grad students from Central European University, just a few steps away. Like many other cities, Budapest is swarming with specialty coffee shops. You know - tattooed baristas, minimalist interiors, and pricey pourovers. Does the city need more new-wave cafés? The answer is not obvious to me, but if it’s a “yes” to you, then more of them should be like Dorado Café. This 2018 newcomer is located on the rapidly gentrifying Klauzál Street inside the old Jewish Quarter.So what’s to like about Dorado? Firstly, it’s spacious. Unlike in the hole-in-the-wall cafés so common in Budapest, here patrons are welcome to linger on a communal table without feeling rushed. Secondly, the Hungarian-Spanish owners, Emese and Mario, give Dorado an endearing character; they’re kind, poised, and alert. In a city where service staff is notoriously grumpy, these are precious qualities. Ultimately all places become reflections of their owners’ personalities and in Dorado’s case this looks to be a good thing. Coffee beans come from Ethiopia, Brazil, or Colombia, and they are light-roasted locally. Coffee options span from V60 hand pourovers to espresso-based drinks prepared with a slick, matte black La Marzocco machine. They also sell a variety of pastries and the by now obligatory organic fruit juices. 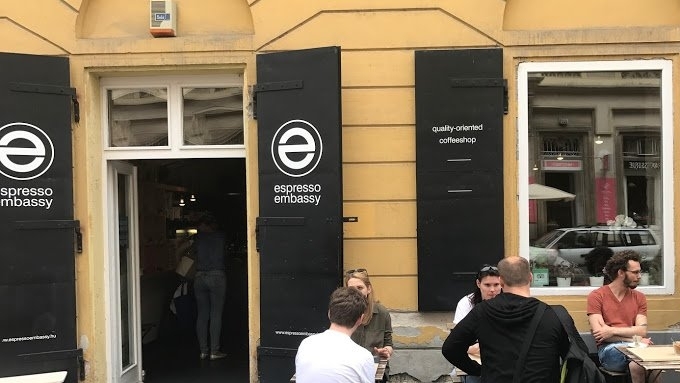 Opened in 2012, My Little Melbourne was one of the first cafés to bring A+ quality specialty coffee to Budapest, resulting in a cult following that still continues to surround them. Leveraging the rightful success, they recently opened a brew bar next door focusing on filter coffee (V60, Aeropress, French press, cold brew), while the original premise continues to serve espresso based drinks (cappuccino, latte, Americano, etc.). My Little Melbourne is located in the heart of District 7 (Jewish Quarter), and given the location and the café's seemingly unstoppable popularity, the somewhat inflated prices make sense. For most foreigners they will still feel like a bargain. With a quaint atmosphere that evokes the bourgeois pre-war restaurant scenery of Budapest, Café Kör serves classic Hungarian dishes that bring out the best of traditional Hungarian cuisine. Look out for the daily specials written on the large piece of cardboard paper. The gigantic and beautifully juicy veal schnitzel alone is worth the visit, but the beef tenderloin "goulash style", and the Rossini beef tenderloin topped with foie gras will also make you want to return here every week. Do enjoy the courteous waitstaff - unfortunately it isn't something you will see much of in Budapest. Also, on weekdays Café Kör is the "to see and be seen" spot for Hungarian finance executives, in case that’s a crowd you care to mingle with. In retrospect, it's strange that it took so long for someone to finally open a classic Hungarian restaurant in the party district (Jewish Quarter). After all, most tourists are after local dishes before they hit the neighborhood bars. The name of the restaurant (Gettó Gulyás) makes its culinary priorities clear - the short menu features the heart of Magyar cuisine with staples like goulash, chicken paprikash, and beef stew. These Hungarian classics are updated with a small twist, like the baked curd cheese noodles rolled in bacon, that accompany the veal stew. The interior, with corrugated roofing sheet panels and a wall of hay, reflects above-average creativity, and stands in contrast to the neighborhood’s ubiquitous ruin-pub decor. Service is friendly but not intrusive.The only point of criticism of Gettó Gulyás is also a compliment: its reliable Hungarian dishes have become so popular with visitors that the absence of Hungarian patrons detracts from its authenticity. Reservation is a must! Rosenstein is the most prominent restaurant in Budapest that features the Central European Jewish cultural traditions. Opened in 1996, this family-run restaurant has many endearing qualities. One of them is the way they prepare cholent, the signature Sabbath lunch dish with characteristic, rich flavors thanks to hours of slow-cooking. The baked beans are topped with three types of beef here: sausage, brisket, and tongue. Don't plan much else for the rest of the day after this hearty meal (it's served on Friday and Saturday). Egg salad, another Shabbath staple, is also available, which is a spread of hard boiled eggs, onions, and goose fat (schmaltz). And goose liver, of course, is a recurring item on the menu at Rosenstein. The best expression is the pan-fried foie gras paired with fried potato croquette and showered with a sweet Tokaji sauce. Bábel is one of a small number of true fine dining restaurants in Budapest. Chefs István Veres and Gábor Langer emphasize the Austro-Hungarian, especially the Transylvanian gastronomic heritage to give the dishes a local flavor, particularly in their use of herbs and vegetables. One of their best creations is the reimagined “tojásos nokedli” (egg noodle, or spätzle). Normally the simplest of countryside fare, at Bábel the dumplings are smothered with a beautifully creamy, truffle-filled egg spread and topped with sprinkles of egg yolk that have been dried and grated. Another highlight is the impossibly tender farm chicken, which includes a side of corn cream bedding, concealing a poached egg inside. This 2015 offshoot of Costes, the first Michelin-starred restaurant in Budapest, is a more relaxed version of its older sister (and also a tad cheaper). The main difference is the interior: instead of a formal setting with white tablecloths, here a sleek, rustic look featuring wood finishes and greenery, with an open kitchen, dominate the atmosphere. The food is outstanding (the restaurant has had its own Michelin star since 2016), and mainly international. The goose liver, one of the best items on the menu, is perhaps the only obvious gesture to Hungarian culinary traditions. As part of the four-course tasting menu (a selection of the a la carte offerings), be sure to try the cured and lightly grilled mackerel with beetroots, and the flavor-rich rib eye steak, which comes with a creamy, home-made BBQ sauce and chopped green beans. Chef Tiago Sabarigo's cooking is reliable and visually pleasing (especially the "Chocolate" dessert), but it could perhaps put even more emphasis on culinary acrobatics to add to the "shock-factor" one might expect from a Michelin-star restaurant. A members-only private club, frequented mainly by well-to-do expats living in Budapest and chic Hungarians. The meticulously designed interior will knock you off your feet - it’s rare to see contemporary design mix so well with the fading grandeur of a pre-war building. Inside you will find studios for artists, dining rooms, a full service bar, and a lively dance floor Friday and Saturday nights. During the week they host events ranging from stand up comedies to workshops held by artists (check their fb for details). You will most likely be able to get in without a membership if you give them a heads-up by phone or email, or, if you stay in the boutique hotel (Brody House) of the same owners, they will automatically let you in. If you're serious about your drink, visit this award-winning cocktail bar (in 2012 it was listed as one of the world’s 50 best bars by Drinks International) nestled within a surprisingly peaceful downtown side street. The low, maroon vaulted ceiling, and dim lighting lends a speakeasy feel to the otherwise well-invested interior of Boutiq Bar. As tends to be the case in such specialized cocktail bars, a bit of theatric will accompany the serving of your libations, of which their Old Fashioned variations and Zwack & Soda (a Hungarian concoction) are two of the favorites. Book a table in case you go after dinner and plan on properly testing yourself against the top drinks in the “industry”. 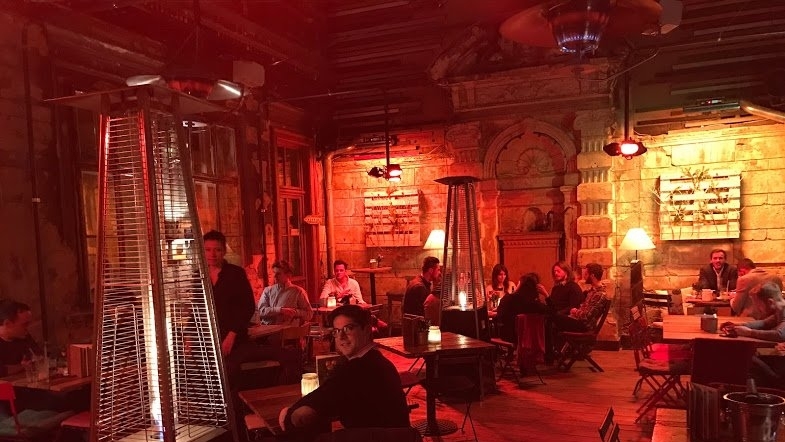 If you've spent at least 5 minutes researching Budapest nightlife then you will already have come across Szimpla Kert, the iconic ruin bar of Budapest. Likely you are also familiar with the ruin bar (romkocsma) concept, but for those who remain unaware, a quick refresher: ruin bars are makeshift bars located inside dilapidated pre-war buildings, furnished with quirky furniture assembled from clearance sales, and all in all exuding a inexplicably cool atmosphere. Hands down the most glamorous hotel in the city, standing tall in a category of its own. The building, a grand art nouveau construction from the glory days of the Austro-Hungarian Empire, is a straight-line extension of the venerable Chain Bridge, which means that the front-facing rooms have sweeping views of the Castle Hill and the Danube. Inside, there're plenty of details to marvel at: the royal-looking lobby with multicolored Zsolnay tiles, a glass-roofed arcade, and elaborate stained-glass windows in stately staircases. The celebrity-studded guest list often includes A-list Hollywood actors in town for shooting. Kollázs, the brasserie and cocktail bar on the ground floor, is an appropriate match to the hotel.. This 38-room chic boutique hotel is what happens when gifted interior designers obtain a generous budget. The 19th century building of Hotel Rum nestles on a surprisingly quaint downtown square next to the stately law school that breeds the Hungarian political elite. The meticulous interior is a far cry from the 19th century, showing instead an amalgamation of contemporary international styles. The moment of truth will come here when the rooftop bar with a panoramic vista opens in summer 2017. All this for little over 100 euros a night. BLACK - BRUNCH, GREY - SPECIALITY COFFE, LILAC - CASUAL & TRADITIONAL DINNER, YELLOW - FINE DINING DINNER, RED - COKTAILS & BARS, GREEN - REST THE HEAD IN STYLE.